I thought it would be nice to come home to a place that I had decorated. I didn’t have the finances and resources at first, so I figured that I should start small. I made my first wooden piece: an ottoman. When I showed it off to some friends and family members the response was phenomenal. That’s pretty much how Indalo Décor started. It started small; one piece at a time. I am convinced that as potential entrepreneurs we spend too much time thinking, and never “do.” I realised that the only way to fully renovate my place was one piece at a time. The only way to kickstart a potentially successful entrepreneurial venture was to start. Two items kick-started my collection: the ottoman and a scatter cushion. I showcased the pieces at a conference, which is where I met designer Gavin Rajah, who later became my mentor. I find value in showcasing at trade shows and conferences because of the exposure and the connections one is able to make. It’s more than networking; it is hard work combined with targeted marketing. The combination of all three factors serves as a gearing mechanism for entrepreneurs with limited resources. Whatever I create needs to be practical, especially for the consumer. It’s one thing to make something that just looks good. But it needs to be useful or else there is no point. It’s not difficult to come up with a product, but making it practical is what determines its sustainability and longevity. The Indalo Décor collection includes gadget and fashion accessories. 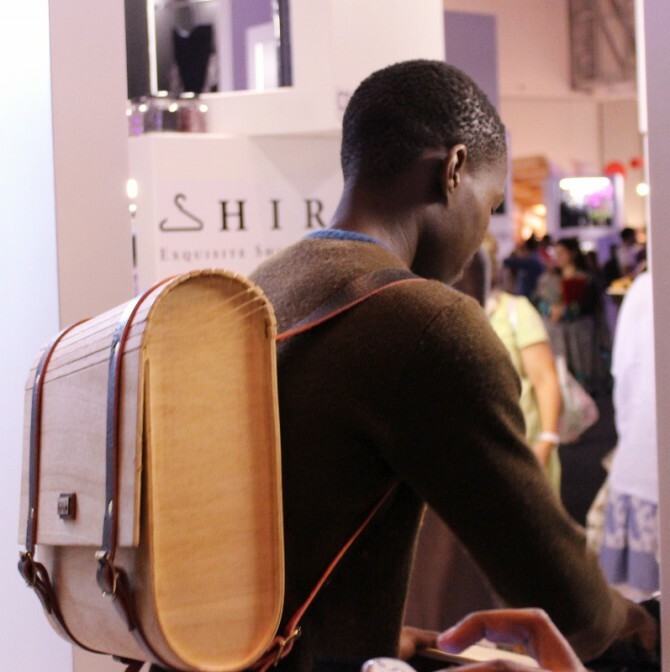 The company’s best selling product is the wooden backpacks. These started selling the very first day I shared a post on Facebook. It’s still amazing to see how much people have taken to my work, it’s motivating and inspiring. In the short term I’d like to continue getting my brand out there. Long term: I would like to integrate some sort of charging mechanism into my cellphone covers and backpacks – perhaps solar panels – but I’m still doing my research. My overall vision for Indalo Décor is to show the rest of the world what South Africa’s youth are capable of producing and to continue working with local designers to grow the industry that I have grown to love and appreciate. A key lesson I learnt in my journey is to start something. It doesn’t matter what you have or don’t have. At the end of the day, make sure that you walk away with something – a successful business; a product or even a lesson learnt. Regardless of the way you might look at it – there is more value in that than having done nothing at all.